Hey hey my Facebook page is NOW MOVED to the new page called Paulina Arcklin Photography + Styling. And why? Just because there wasn't any chance to change Picture This Facebook name. And because I'm now Paulina Arcklin Photography + Styling, so I want same name FB page as my business ;) And why i am now Paulina Arcklin Photography + Styling? Answer is, that people know me and talking about me already most by this name. Come to see my new page - I love my new and old Fans! 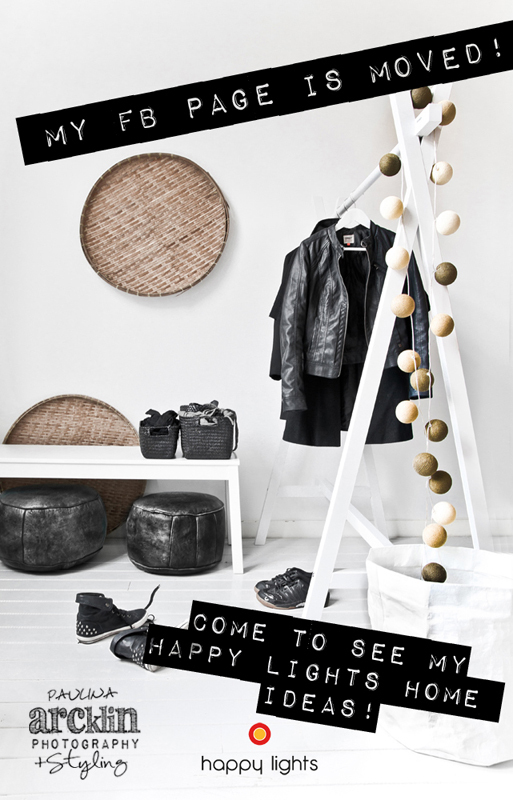 You can find from there my styling ideas with Happy Lights at my own home!